I’m feeling good and hiking up to Barmasse (2175m) at a good speed. Passing a few runners on the way up, the temperature is beginning to drop at the sun starts to set. And I realise I left my spare thermal top in my life base bag … uh oh. 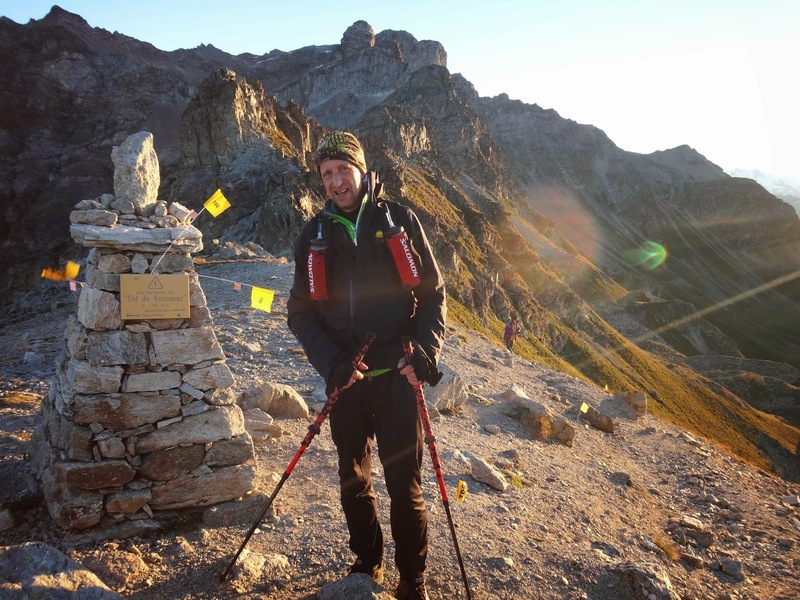 Rifugio Barmasse is further than I’d expected, but I get there in less than 2 hrs so it’s still perfectly light out despite the increasing cold. I’m not sure what to do. It’s too bright out for me to feel tired yet, but the next possible place to sleep is over 11km away (Reboulaz). That’ll take me the better part of 4 hrs at least .. and I didn’t want to be in the cold and dark stumbling ahead trying to stay awake. Plus it’d be a night at over 2500m for the next 25 km or so .. make that VERY cold and dark, then. There’s a couple of guys in the refreshment room at Barmasse, a nice warm respite from the cold outside. I pour myself some tea and ask for advice. Should I carry on, or get some sleep first? Does anyone know how far the next stop really is? The German guy sat in the corner reckons I’m better off going as far as I can while it’s still light, and a couple of others agree. Harald (the German guy) looks pretty experienced and all kitted out in thermals and waterproofs. Plus he did TDG last year. Ok. I ask if I could tag along with him and try to keep pace, I’d much rather have some company in the night, and trying to move faster might keep me awake longer. I put all the rest of my layers on, silently berating myself for leaving the thermal top behind, and soon we’re back out into the cold. Harald proves to be a great companion, he works with an online sports magazine (soq.de), and his English is good enough to keep me sane. We make our way along the trails with a couple of other runners – two guys who look pretty determined. 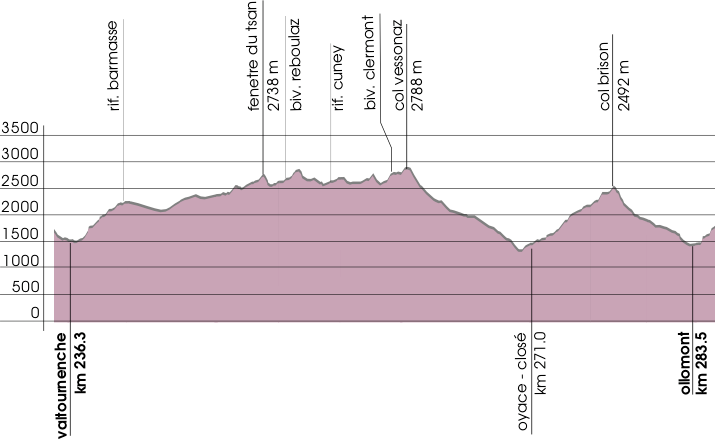 From the profile, I didn’t think that this section would be too bad – no huge climbs – but once again, Mother Nature gives me a kick up the proverbial. With Harald and the other two guys for company, we’re making good time and as it gets dark, we’ve cleared the first dip and head up towards Fenetre de Tzan (2783m) about 10km from Barmasse. Those tiny squiggles on the profile translate into a strength-sapping series of short, sharp climbs and descents. It’s properly dark now, and my eyes are starting to close. I’m grateful for Harald behind me, and try to concentrate on the guys in front, keeping a steady pace. Just when I’m despairing that I really can’t go on any longer, and have to sleep on the trail, there’s a hut ahead. Surely this is too soon for Tsan? We can’t have been going that quick. It’s Vareton (2352m). There’s a fire outside and food, and I’m grateful for a cup of hot tea. I hopefully ask about beds, but they’re full for at least another hour. Bugger. I really don’t think I can go on till I get some sleep, I’m SO tired. I tell Harald I’ll probably stop here and wait for a bed, and he says he’ll push on as we’re making good time and he wants to make the most of it while it lasts. He advises me to have some food and see if it revives me to carry on. I’m reluctant to leave the comfort of the group so I do as I’m told. A few minutes later they’re ready to leave again and I follow suit. I’m not any less tired, but would prefer to navigate the trails with company rather than alone. I warn Harald that I’m on the brink of sleep-walking and he promises to look out for me. What follows is forever etched in my memory as The Night From Hell. The 6kms to Bivacco Luca Reboulaz are a blur of ascents and sharp descents on narrow trail, with sheer drops to one side and slippery rocks waiting to trip you up. I’m starting to hallucinate more with the fatigue, and rocks morph into owls that wink at me or grow arms and squeaky voices that shout ‘hi!’ as I stumble past. Harald isn’t faring that much better and we push on till we finally see the lights of Reboulaz. 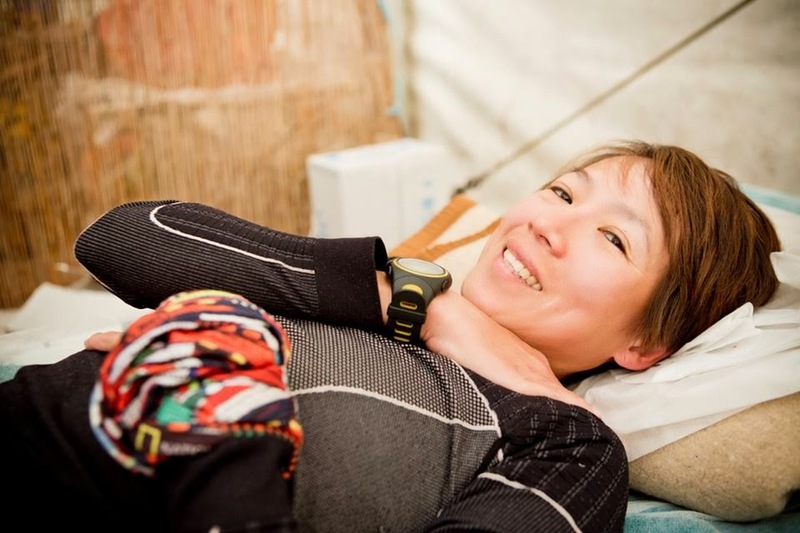 The tiny refuge is chock full of tired runners, and the handful of staff are doing their best to cope. There’s a waiting list on the door for beds on a 2-hour rotation, so I sign us up for a couple of beds. It’s close to midnight now at looks like some beds will be free soon. I really don’t care because I simply cannot keep awake any longer. Together with the biting cold and my missing thermal layer, it really is an exercise in endurance tonight. Falling into a bed, I doze off almost immediately. Someone gently taps my foot and I’m reluctantly awake again. Harald, who’s next to me, is trying to get up as well. We both squeeze back into the tiny, crowded main room and take stock. We’re squashed in a corner and it looks like a trauma room with tired faces and broken bodies. 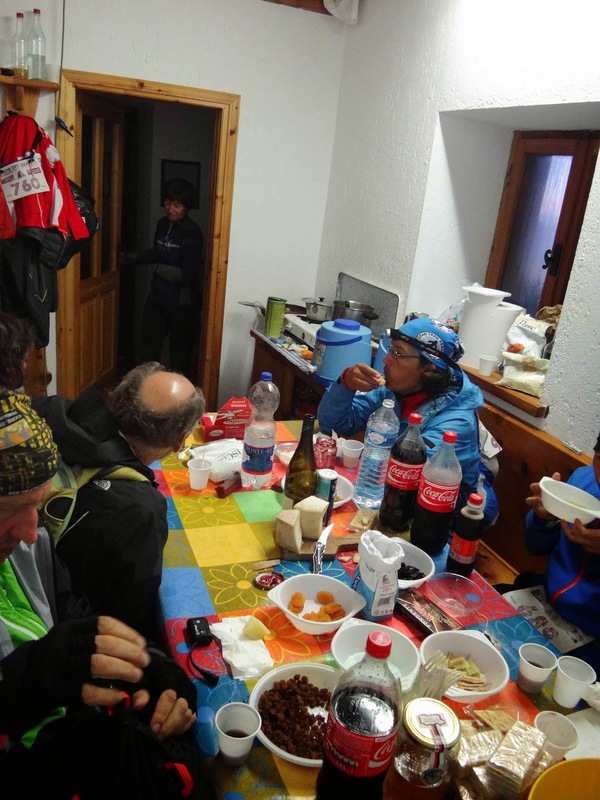 Harald and I take our time to refuel on hot soup with salami (me) and cheese (Harald). I’m worried about going out into the cold again and dig in my pack in the hopes I have another warm layer stashed somewhere. At this point I could quite happily give up and go back to sleep. The lovely ladies helping out by the stove in the corner flash me big smiles and tell me to hang in there. At this point I’ve decided that desperate times call for desperate measures. I stand on a bench (there’s no room anywhere else), take off my jacket and fleece, and step into a buff. I have 3 on me so I figure I can use one as a body warmer. The women are amused and intrigued. “A buff? ?” One looks at the buff around her neck and laughs in disbelief. Good thing I’m small, they say. Okay. Ready or not, we’re off again. This time it’s just Harald and I. Biv. Reboulaz is by a small lake and in the dark we cross over on the wet, slippery rocks and into the night. 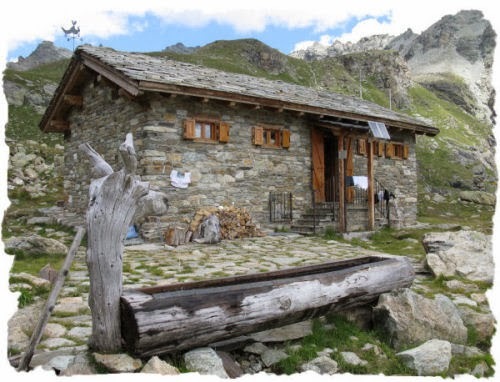 Rifugio Cuney (2656m) is about 5km away, should be achievable in 2hrs or so I thought. Remember those map squiggles? Back with a vengeance. This 5km goes on forever, and some of the trail we’re on is pretty hairy stuff to do in the dark with so much fatigue. I remember tripping over my own feet countless times (thank goodness for poles) with a strong sense of deja vu. Didn’t we already do this bit? Or was that at UTMB? This is really soul-destroying terrain, and whilst I’m trying not to see too much of the sheer drops to my side, Harald’s super powerful headlamp behind me is making sweeping checks of the terrain, which means I get to see all the evil rocks and more waiting to cushion my fall if I decide to fall. We climb for a bit, then start on a steep descent that goes on forever. It’s slippery, sandy switchbacks that seem endless with a ridiculous gradient. The reflective markers show we have miles to go and the refuge is nowhere in sight. It’s all I can do to just keep moving forward, but my despair is building. I dread to think what would happen if anyone fell or got injured here. Who on earth would be able to come get you? My feet are sore and my knees are starting to complain as well, but nothing that is a legitimate reason to stop. Damn. Behind me, Harald remarks “This is the place that God forgot.” That just summed it up. It felt like we’d been forgotten too. Desolation all around, not even the promise of the refuge lights ahead, and miles to go before we sleep. Then we see them. The lights of Refugio Cuney. It’s not even uplifting at this point because there’s a whole valley to descend and climb before we can get there. One step at a time, nothing for it. This should be nothing compared to the night I just had. It’s very cosy in Biv. Clermont! Col Vessonaz after the night from hell. I end up having cheese and coke. The first piece of cheese I’ve had since I started the TDG – I didn’t want to have anything that would make me feel ill (I’m lactose intolerant), but last night was enough of a near miss to make me feel like some cheese was in order. I NEVER want to to this again. There’s no mobile signal so I can’t let Anders or Steve know how I’m doing. Never mind, more cheese will help. Harald and I drag ourselves out at sunrise, and it feels like a different world. 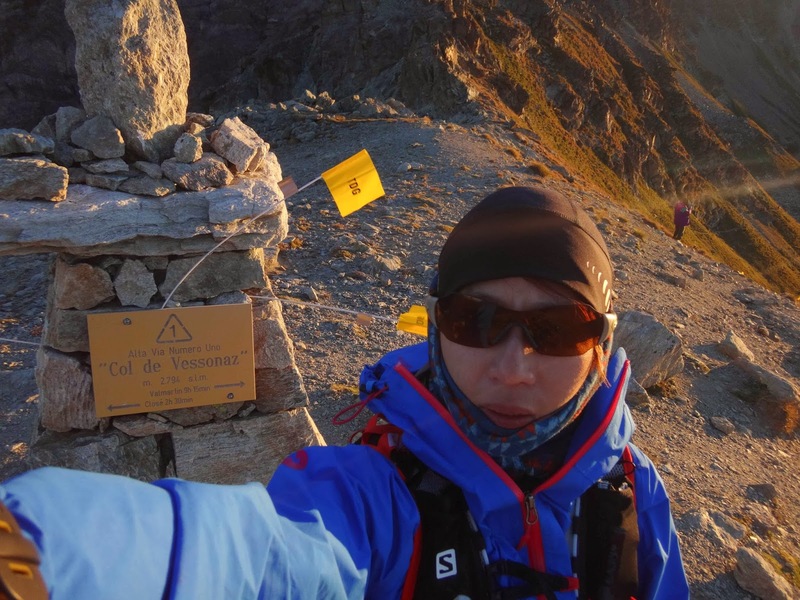 Col Vessonaz (2788m) is 400m out and it should be mostly downhill to Oyace, the next checkpoint. I reach the peak first, suddenly fuelled by all the stress and frustration of the night before. I wait for Harald to get to the top, snap a pic and head down. Harald’s having some issues with his knees so I go on ahead with his blessing. It’s turning out to be a glorious day and all the despair of the night before is lost on a gleeful descent. It’s great to get some speed and I pass familiar faces along the way including Kazuko and Franco. 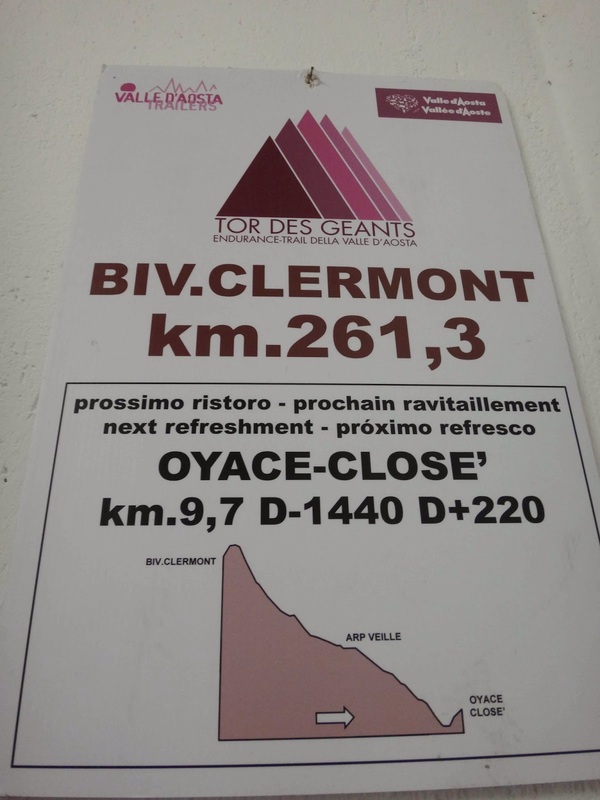 The 9.7km to Oyace goes reasonably fast and the small climb to the aid station isn’t too bad. It’s nice to see Steve just I get into the town, and he walks in with me to the checkpoint. It’s 9.30am and I try to make it a quick turnaround. The Chinese camera crew quiz me again and I manage to fuel up and head out in record time. It’s 12.5km to Ollomont, the next life base, and I’m using that as incentive to push me on. Just over 6km to the top of Col Bruson (2492M) and then it’s down the valley into Ollomont. I don’t remember much about Oyace to Ollomont, only that it was warm and I’d finished my last packet of Haribo Dragibus. Oh, and I felt my left toenail pop off during one of the descents. That actually took a lot of pressure off my toe, so all good. Coming into Ollomont felt good. It’s 2.25pm and I’m 283.5km into the event. The sunshine’s perked me up and for the first time, it feels like I can think about the reality of finishing. But first I need to get my feet sorted. The doc takes one look at me and tells me to go shower first. Once I’m clean, I’m in the queue to get medical attention – everyone in the line is getting their feet seen to, doesn’t seem to be any other complaints. Dottore finally patches up my feet, straps on two ice packs to my swollen knees and pats me on the back. “See you in Courmayeur.” With 49km to go, this is the home stretch. As usual, Steve is an absolute star, and patiently makes sure I have everything I need and more. After two plates of food, a shower, lots of Betadine and surgical tape, two new sets of headlamp batteries and all my warm clothes, I’m ready to head out again. I’ve spent 2h 20 mins in the life base .. could’ve been worse, I guess. And off we go. Next stop, Courmayeur!